If your original Stack Exchange question is answered and you have additional follow up questions, please create new Stack Exchange questions to ask them. Comments should not be used for separate follow up questions or extensive troubleshooting. Stack Exchange Q&A readability and indexing is much better when the scope of each question is clearly defined in the question itself. Comments can be helpful to clarify minor points needed in order to provide quality answers. If a comment is made to request you clarify your question, please edit your original question instead of responding with additional comments. I fully agree and would like to add that it's a very good feature to have related questions and follow-up questions. While the right sidebar automatically suggests related questions, it's always a good thing to link related questions if you think it's important enough to mention. This also shows you did a good research on your issue. 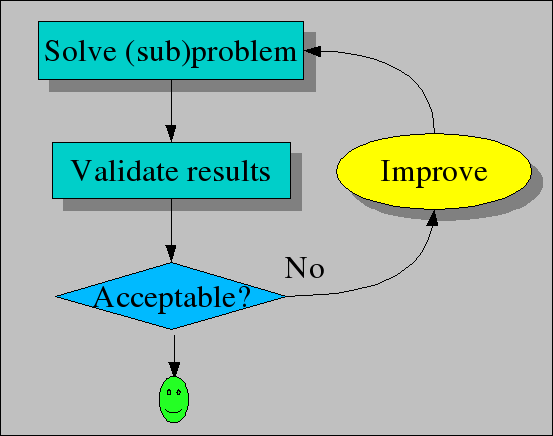 I've written a simple problem solver that allows to basically find a solution to any problem you may have. Any idea why it does not solve my problem? I also tried to solve it using the solver, but same issue. A very dedicated search on Google did not help either. 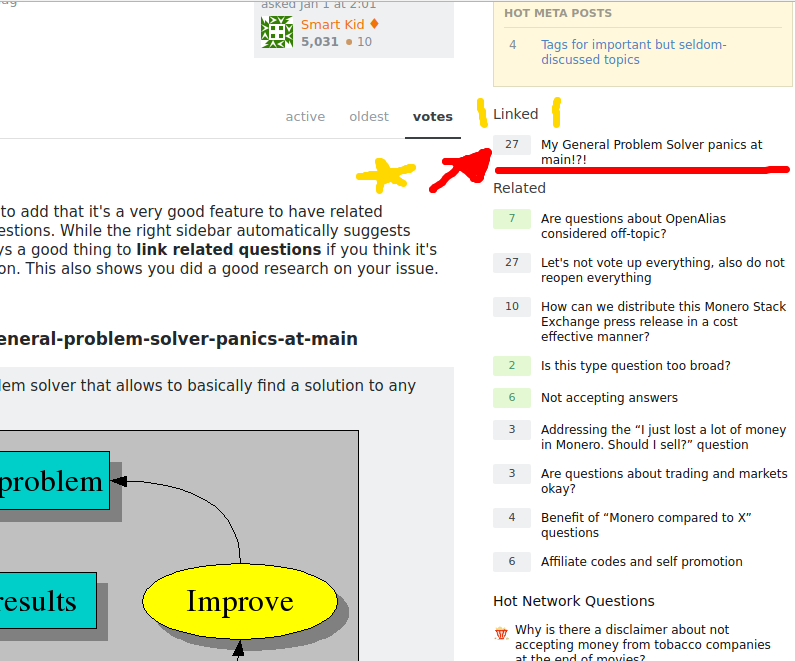 It seems I'm the first developer trying to write a general problem solver.